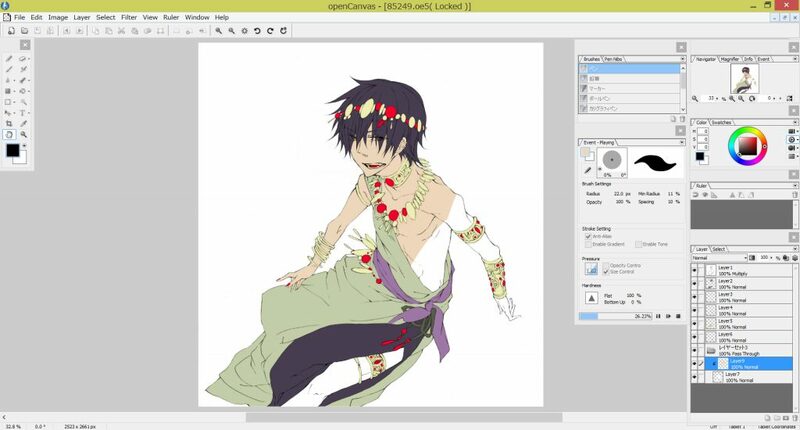 openCanvas 7.0.15 is a very handy and useful application that has been designed for providing the users with all the tools for creating digital drawings as well as paintings easily. 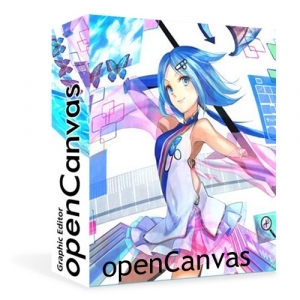 You can also download older version of openCanvas. 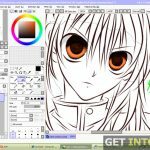 openCanvas 7.0.15 has got a very well organzied and simple user interface with all the functions neatly organzied and are very easily accessible. 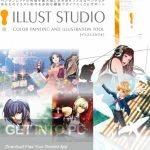 You can load the pictures and modify them easily and you can create new painting on the spot. 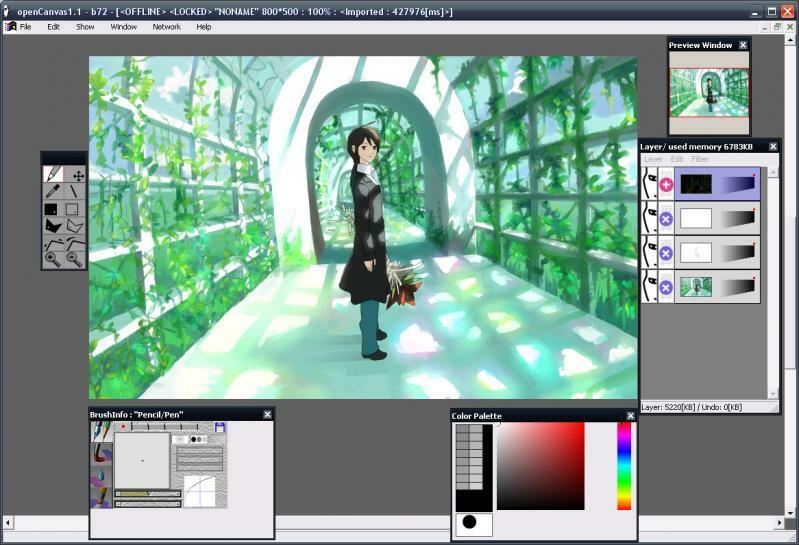 This application supports a wide variety of images file formats which includes JPG, BMP and PNG to name a few. It has got several separate windows that open whenever you deploy the software and every one of them contains various different instruments and settings which can easily be adjusted according to your requirements. 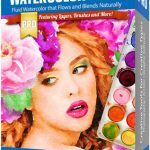 You can use various different tools like pencil, airbrush, eyedropper, watercolor and many more. 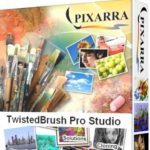 All the the above mentioned tools are highly customizable and comes with several different options. 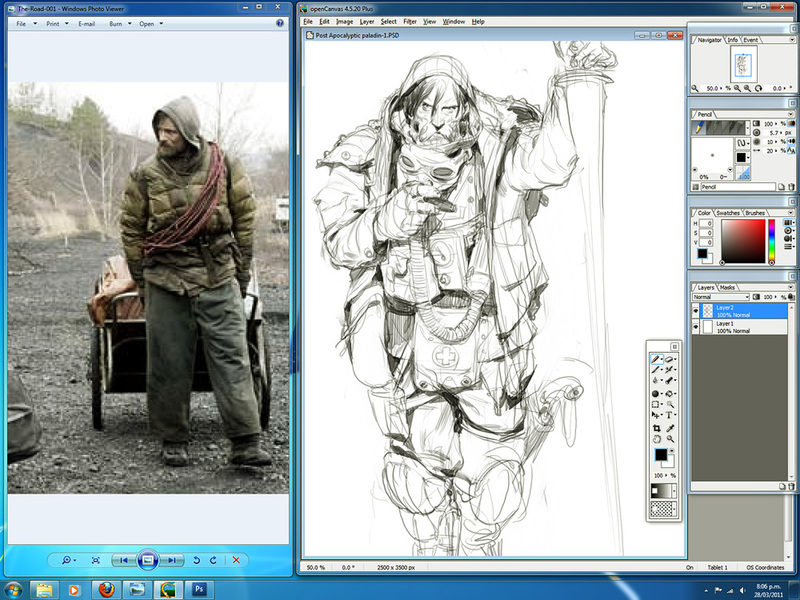 You can also resize the picture upon which you are working and also can rotate it to any degree. This application has got various different features which can be controlled by hotkeys. 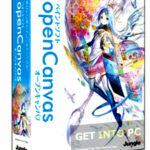 All in all openCanvas 7.0.15 is a very handy application which can be used for creating digital drawings and paintings. 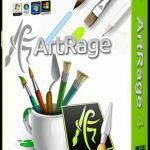 You can also download ArtRage.